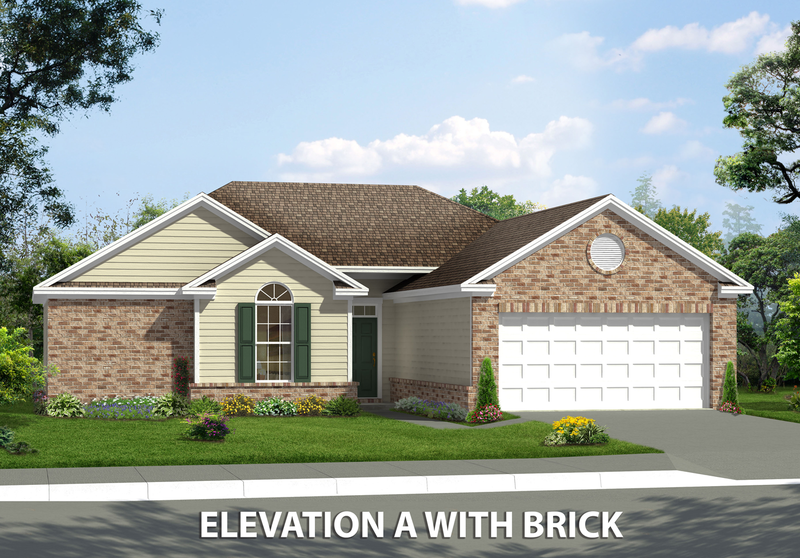 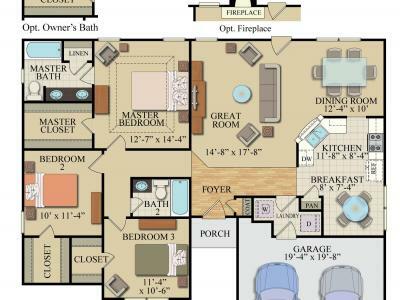 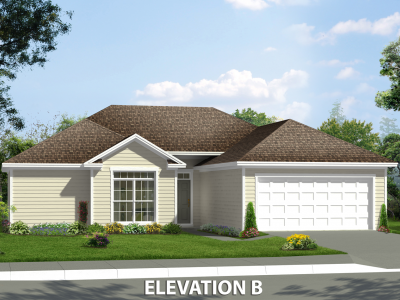 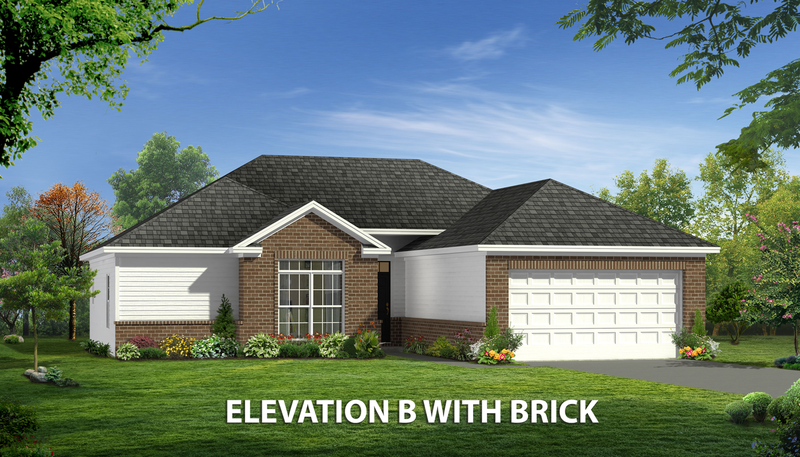 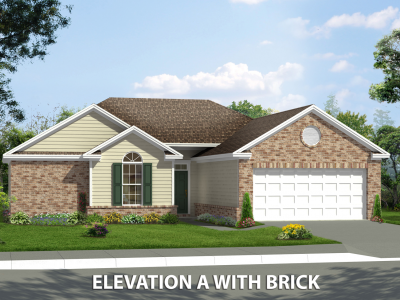 The Decatur is a beautiful and functional home that includes three bedrooms and 2 full baths. 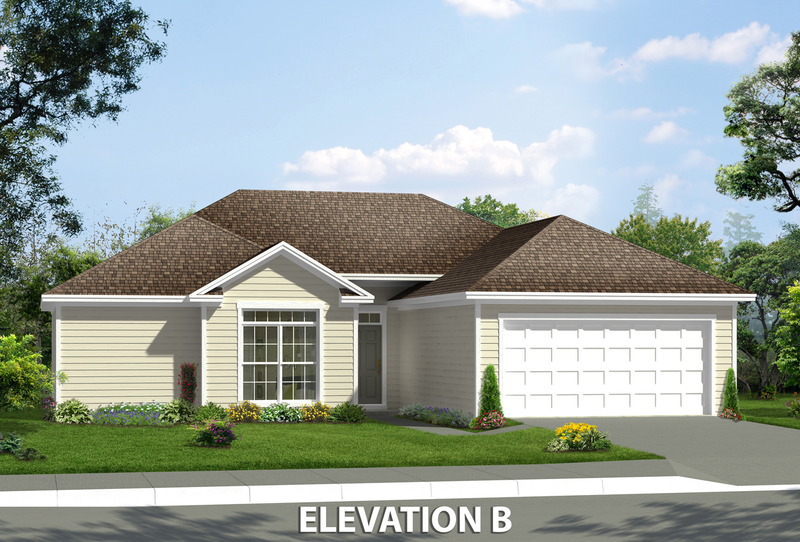 The Decatur features a formal dining room as well as a full breakfast room. 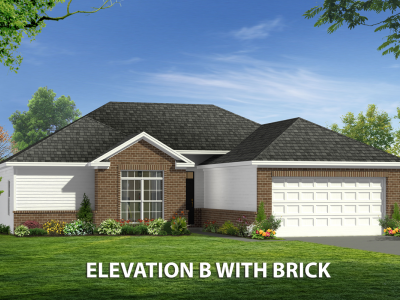 The kitchen features ample storage and a pass thru to the great room, which features a dramatic vaulted ceiling and optional fireplace. 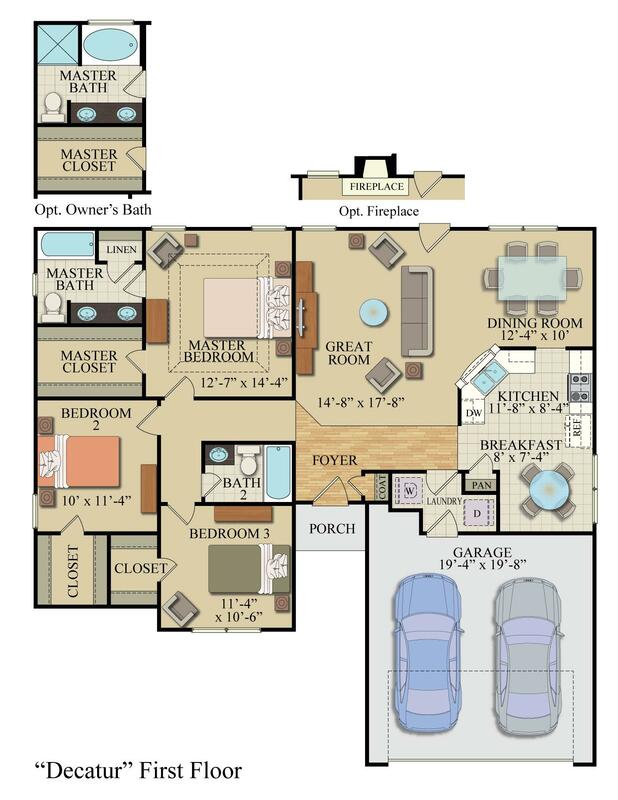 Walk-in closets are included in all bedrooms, and the Owner's bedroom features a tray ceiling. 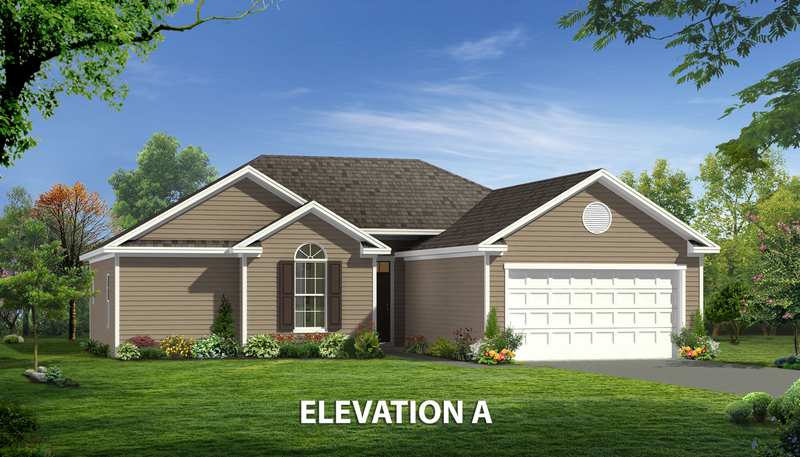 The Owner's bath includes two sinks and has the option for the Konter Optional Owner's bath that features a jetted or soaking tub and a separate stall shower. 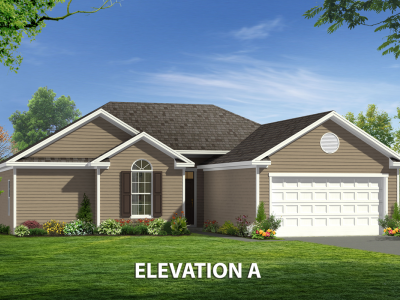 The Decatur is Earth Cents rated and includes Icynene spray foam insulation, saving you money while also helping the environment.